Those who want to pig out on junk food blindly may want to avoid New York City. In addition to calorie information being posted next to each menu item, a new rule regarding sodium labels approved by the city’s board of health will go into effect tomorrow. According to Pix 11, fast-food menus with high sodium content will now feature a salt shaker warning icon by them. Many salt producers and restaurateurs are against the labeling law and have called it a “misguided step” that will only increase the number of confusing warnings they will have to keep adding to menus. However, unlike calories, many people aren’t quiet aware just how much sodium is in a dish. 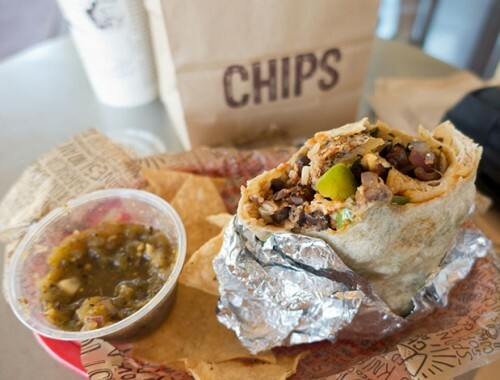 Items that appear to be relatively healthy, like a burrito from Chipotle, can actually have more than the recommended daily sodium intake. Here are three fast food dishes that have shockingly high levels of sodium. Breakfast might be the most important meal of the day, but not when it takes up your entire sodium intake for the day. Might want to stick with an Egg McMuffin over this meal which includes scrambled eggs sausage, hash browns, and hot cakes. A foot long version of this sandwich, which has both pepperoni and salami, topped with mayo not only is extremely high in sodium, but also calories (1,180). Add cheese to the sandwich and the sodium levels only jump higher.